Rubenerd: A Sinclair ZX Spectrum for The Sims 2! A Sinclair ZX Spectrum for The Sims 2! My sister’s reignited obsession with The Sims 2 on my Mac has led to me playing it a bit again myself. I don’t play many games because I find them a waste of time generally, but along with the SimCity series (not including SimCity Societies, yuck!) The Sims is one of the few games I’ve ever played that I’ve found engaging and more addictive than… something addictive. It messes with your brain! For some retro fun, while looking through the Mod the Sims 2 website yesterday I came across an object by Numenor which is none other than a Sinclair ZX Spectrum. Yes, your Sim can now write Basic programs on a retro ZX Spectrum right there in your Sims 2 house, or play original games complete with the same generated music sounds and tape loading noises! There’s something so right about this! 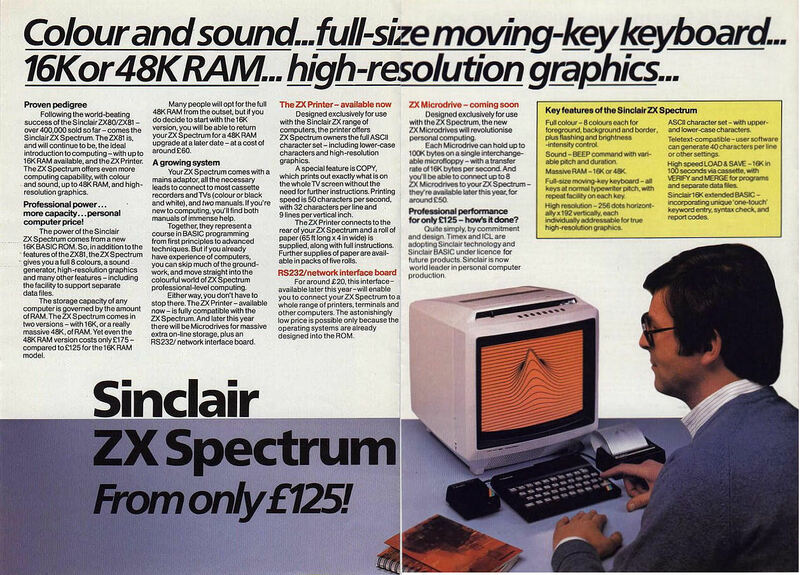 I was born in 1986 so I was only a tiny person when the home computer wars at that time were playing out, but since 2001 I’ve been buying and playing with some of these inexpensive 1980s home computers, including a ZX Spectrum which has since become my favourite. The fact these tiny, beautiful, quirky machines are still functioning even today attest to the durability, quality and robustness of their designs. Granted machines made today are a magnitude of order more complicated and powerful than machines made then, but I doubt most personal computers built today will still be running without problems in 20 years. I left my Spectrum back in Singapore, bummer! I’ve been using it on a plasma screen television too, I’ve been meaning to find a tiny little colour TV to use with it, or even a small LCD with a TV tuner. Time is the problem, perhaps for now I’ll let my sims play with one, and I’ll live through them :).